As a thrift store and sale aficionado, it is my duty to disclose one of NYC’s best shopping events; Housing Work’s Best of Spring Sale. Housing Works is a nonprofit that sells donated clothing, accessories and furniture to benefit people living with and affected by HIV/AIDS. During their annual Best of Spring Sale, each of the 12 locations are restocked with a bevy of designer duds and specialty items. It’s essentially the Barneys warehouse sale equivalent for broke chicks! Although I didn’t encounter an anticipatory line, it was only a matter of minutes before I found myself tiptoeing between artsy young professionals, government agency working label whores, and maybe a local or two cramming everything they could find into shopping crates. The jewelry counter was crowded with foreign elderly white ladies and gay men working in theater, often holding up their jewelry loops to find hidden value or a sturdy pair for a performance, drag or otherwise. Amongst a pile of wallets, I spotted the soft sheen of gorgeous black leather contrasting with gold plating. With a French closure coin purse attached, the style seemed a bit dated, but compared with the endurance of today’s plating you see the quality a mile away. 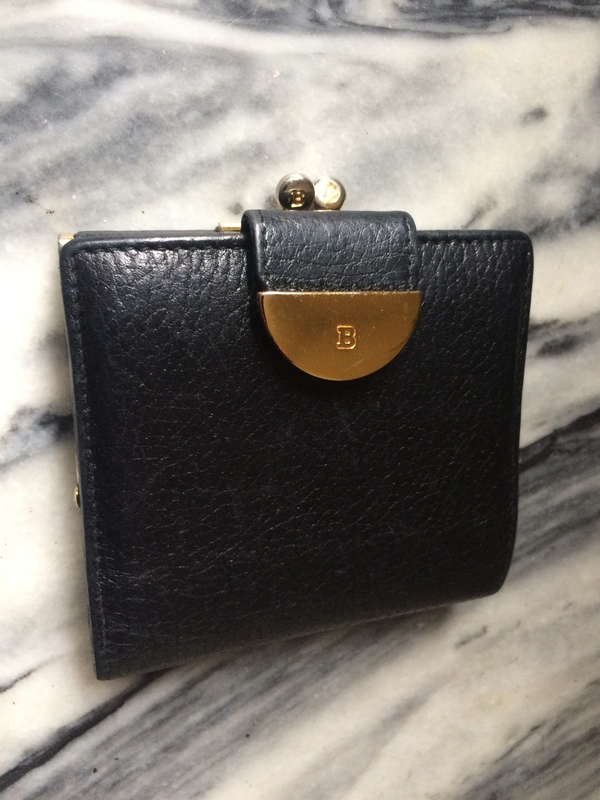 The “B” logo I spotted also intrigued me, so I snatched it for $12 only to confirm my suspicions at home that was indeed a Bally wallet…for $12. My second discovery wasn’t a bargain compared to the first, but if retold to the world of haute couture, it would have astounded. A silk-lined black blazer in the style of a collarless bolero that meets a silk waistband, blossoming into a feminine peplum. It’s the signature way Giorgio Armani integrates the trademark designs of the past (in this case the 40’s) with sleek Italian tailoring that still complements a woman’s curves. Needless to say, I’m booking my calendar for next year.